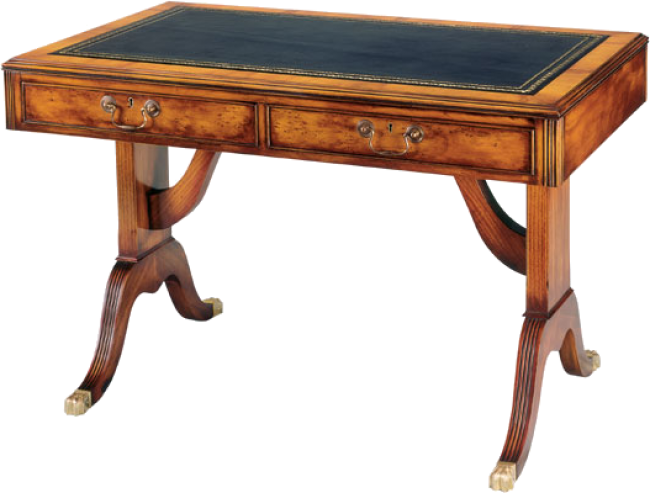 Regency style writing table with splay legs.Two locking drawers. All hardware is solid antiqued brass. Available with wood top. Pictured in Yewwood. Also available at 60"W x 30"D x 30"H. Casters may be added as an option.